What is a good fitting? Why BirdieFinish Golf is the leader in fitting in Oregon? A good fitting is a conversation, not a sales pitch. Too often when you go for a fitting, even at a well-known "fitting center", they already know what they are going to offer you. And their selection of the heads, shafts and grips is not big, so you end up buying and getting fitted with what is convenient for the fitter. Not for you. At BirdieFinish Golf we make sure two experts (we, as the equipment and fitting experts and you, as the expert of your own game and FEEL) talk, test and find the perfect club, shaft and/or grip for you. Then you get to take the club/shaft (in your own club) with you for a day or two and test it out on your golf course or driving range. This way we make sure you will have the equipment that works for you. Tons of heads, grips and shafts. A unique fitting process. Perfect fit. Guranteed! What kind of fitting are you looking for? This fitting is for your new clubs. The fitting session starts with a conversation and with you hitting your current irons/clubs. We talk about your game. Strengths and weaknesses. I get a better understanding of your game and you get a better understanding of what is available and what suites your game. From our selection of tens of different kind of heads, shafts and grips we select 3-4 different options of each of those components and we'll find the perfect match to what you're looking for and to what suits your swing and game. When the "perfect" combination has been found, I will build you a test dub which rou can take out to demo it on the grass and on the golf course, too. This way we will be 100% sure that the numbers, the feel and the performance will help you to play roux best golf ever. My fittings take more time than your average golf store / driving range fittings. 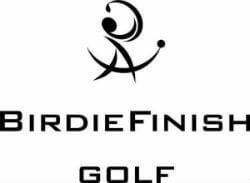 But I am truly passionate to find you the best possible dubs so that you can do the same as so many other friends of BirdieFinish Golf: finally play your best golf with the clubs that are fitted and made only for you. On top of all this: you're welcome to come back anytime you want to double check that everything's fine with your clubs. You might have taken lessons or you fed like your swing has changed since you purchased your clubs? Come back and your fitting espethence gets a "part two". Just to make sure that those clubs are still the best clubs you ever played. This fitting is for your current clubs. You bought your clubs from a golf super store or from Ebay? Or you hare noticed that your current clubs dont work for you. Your swing has changed or the dubs never "felt right" for you Even if they were fitted by another fitter, something needs to be done. As a World's Top-100 Club Fitter Im sure I can make your own dubs play better for you. No more you trying to fit yourself to the clubs! Let's fit the clubs for you, so that you can go play your best golf! You have an basic idea what you want to play with Whether is the new shafts (different profile) or changing the length or other specs of your clubs, you let me know your ideas and what you you would like achieve with this change. Lighter/heavier shafts? Lower/higher ball flight? Grip size change? Over all club weight change? Lies & lofts? Certain brand of shafts or grips? Whatever your liking is, I will help you to achieve it. "Feel" Fitting doesn't require you to hit any shot on the simulator, so this kind of fitting is free.